Musical instruments for children play an important role in children’s education. Research has shown that children who learn music, achieve better academic results and do better in subjects such as mathematics. Ancient Greeks believed that there was a link between music and mathematics. Music opens the mind, stimulates the brain and helps children express their imagination. Music also has a soothing effect on children and has been shown to enhance their concentration. Finally, music can help kids gain confidence and a sense of accomplishment. There are musical instruments for children designed for every age and personality. Younger children can start with simple percussion instruments such as drums, tambourines, cymbals, triangles, maracas or bells. For bells, we recommend the Hohner Kids Bell (includes only one bell). It is designed for younger children with special safety features and is easy to grip. The bells produce beautiful sounds and come in various beautiful colors. If you are looking for a maraca, we recommend the Maracito (includes only one maraca) which is designed for little hands. 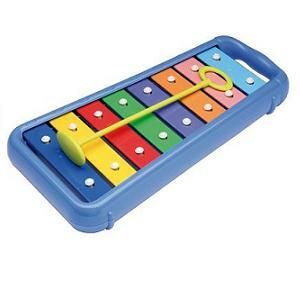 Musical instruments for children ages 3-6 include struck instruments such as xylophones. They are an ideal start for younger children as they are simple and allow kids to express their imagination as they try to form a tune. They make different sounds depending on whether the instrument is made of metal or wood. We recommend the Hohner Kids Glockenspiel because it has non-removable bars (safer for small children) and because it makes a nice sound. Tambourines are also great musical instruments for children. They usually have a membrane and jingles and they can be struck or shaken, ideal for younger children. We recommend the Remo Tambourine. It has 4 sets of jingles. We like it because it produces a nice sound, is very durable and its jingles are child safe. Kids drum sets are also another way to introduce younger children to music. You shouldn’t get a drum that is too large as it would be difficult for a small child to handle. Your choice should be focused on a kids drum set that is durable and that makes a decent sound. We recommend the Remo Kids Percussion. First of all, we love the look of it with its rainforest fabric. Secondly, it is made by Remo which is also a respected maker of professional drums for adults. This kids drum set is very sturdy and doesn't sound terrible unlike other toy drums. This drum set comes with mallets but you can also use it with drum sticks. Flute: the flute is another of the recommended first musical instruments for children. It is very cheap. It is quite easy to play. And it is fun. Children can play tunes from classical to modern music. We recommend the Hohner Child Flute. It is high quality (made of maple) and has excellent durability. It also produces a decent sound. Clarinet: the clarinet is another wind musical instrument that children can learn. The clarinet sounds beautiful. It is more sophisticated than the flute and since it shares the same principles as other wind instruments, children can move on to other great instruments such as the saxophone. Child Violin: the violin is a very beautiful musical instrument however it can be very difficult to play especially because unlike the guitar, it does not have frets to indicate where children should put their fingers. However, it can be a great way to get children to acquire a love for classical music. 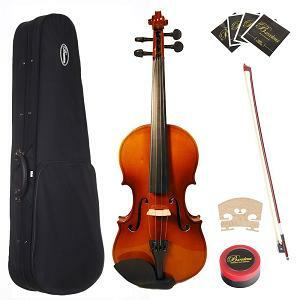 If you are looking to buy a child violin, we recommend the Barcelona Child Violin. It is hand-carved and made of maple. It has a one-year warranty against any defects. We also like the fact that it comes with a hard case, bow, rosin, bridge, and extra strings in case a string breaks. Barcelona offers different sizes of violin (the one featured here is size 1/4). Guitar: the guitar is much easier to play than the violin and other musical instruments for children. It has frets which makes learning how to play much simpler. Another advantage of the guitar is the range of tunes the child can play from classical to modern music. A good beginner acoustic guitar is the Acoustic Guitar Starter Package. It comes with a gig bag, a strap, a pick and even an eBook. It produces a really good quality sound for the price . Advertisement Kids Songs and Hip Children's Music: Groove Kid Nation (www.groovekidnation.com) is an award winning educational children's music label whose goal is to introduce toddlers to the sound of real musical instruments. Piano: the piano is a great instrument to have. As a first step you can get an electronic piano that sounds great and that requires no tuning at home (acoustic pianos require tuning every six months). Pianos are easy to play. You just have to press a key on the keyboard to make a sound. Pianos are also an excellent way to teach music theory to children. That’s one reason why most musicians learn to play the piano. The Casio CTK-2100 is a great choice for children that begin to play the piano. It has 61 keys and comes with headphones, a stand and a power supply. It has a wide range of functions including 400 different tones, 150 rhythms and accompaniments. You can even connect a CD or MP3 player to practice along a favorite song. Whatever intrument you choose, don't forget to get a music stand!